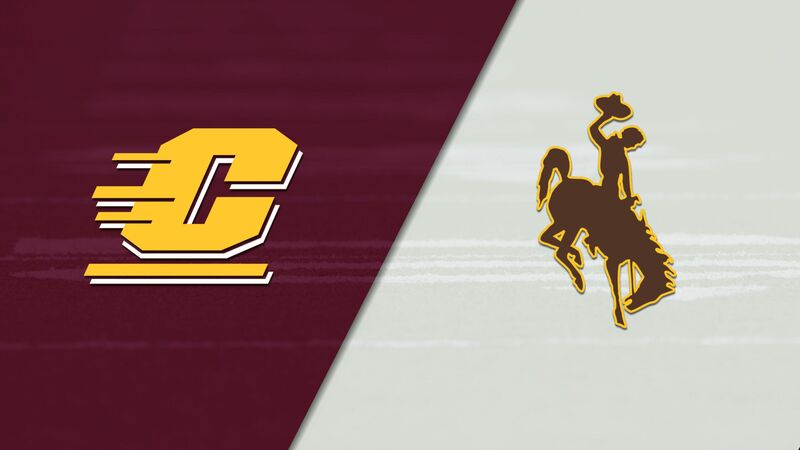 Wyoming routs sloppy Central Michigan in Allen's finale - College Football - Are You Watching This?! 11-S.Morris sacked at WYO 39 for -11 yards, FUMBLES (93-Y.Ghaifan). 91-C.Granderson runs 58 yards for a touchdown. 11-S.Morris sacked at WYO 38 for -10 yards, FUMBLES. 91-D.Baker-Williams runs 40 yards for a touchdown. 5-J.Ward runs 3 yards for a touchdown. 40-C.Rothe 20 yards Field Goal is Good. 40-C.Rothe 28 yards Field Goal is Good. 40-C.Rothe 27 yards Field Goal is Good. 17-J.Allen complete to 14-C.Johnson. 14-C.Johnson runs 45 yards for a touchdown. 11-S.Morris complete to 5-J.Ward. 5-J.Ward runs 74 yards for a touchdown. 17-J.Allen complete to 25-A.Conway. 25-A.Conway runs 11 yards for a touchdown. 17-J.Allen complete to 2-J.Scott. 2-J.Scott runs 23 yards for a touchdown. 13-K.Keon kicks 57 yards from CMC 35. 9-T.Hall to WYO 45 for 37 yards (32-B.Edwards).